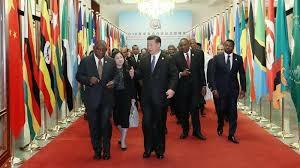 Beijing: Chinese President Xi Jinping sent a letter to congratulate the inauguration of the China-Africa Institute. In the letter, Xi said the world today is faced with profound shifts unseen in the past century. “As the largest developing country and the continent where developing countries are the most densely located, respectively, China and Africa have enjoyed a time-honored friendship between the people,” he noted. Under the new circumstances, China and Africa’s push to deepen traditional friendship, boost exchanges and cooperation, and enhance mutual learning among civilizations will not only benefit the Chinese and the African people but also contribute more greatly to world peace and development, said the president. Recalling the two sides’ joint decision to build a closer China-Africa community of a shared future and implement eight major initiatives at the Beijing Summit of the Forum on China-Africa Cooperation (FOCAC) held in 2018, Xi said the establishment of the institute is a move to increase people-to-people exchanges, an important part of the decision. Xi said he hopes the institute will help draw on both sides’ academic resources, enhance understanding and friendship between the Chinese and the African people, and provide good ideas and advice for China-Africa cooperation as well as the cooperation between the two sides and other parties, to contribute to the development of the China-Africa relationship and the building of a community with a shared future for humanity.